Ever walk down the street and know one of your neighbors is having a barbeque? Or walk into a room an immediately know someone has been working with paint? Some air emissions are pretty easy to notice thanks to a strong memorable odor, but what about the emission we cannot smell? The Clean Air Act (CAA) is designed to protect air quality and support public health, making it a facility operator’s responsibility to take the necessary actions to ensure there is no adverse effect on the local air quality. Historically a hub for the steel industry, the southeast side of Chicago continually battles a legacy of contamination. In a recent Chicago Tribune, the steel industry has once again caught the eye of the EPA. High levels of manganese were recorded on the southeast side; seven of nine monthly samples exceeded the federal limit. Manganese exposure was once believed to only be a hazard for steelworkers, however there has been increasing concern about wind-born emissions affecting the community around these facilities. Stricter regulations and swifter crackdown on emission violations appear to be on the horizon. Knowing the regulatory emission thresholds is as important as knowing the air emissions produced by facility operations. Not all businesses need a Title V Air Permit, but either due to chances or growth in operations, one may need one in the future to avoid a violation. Title V of the CAA requires ‘major sources’ of air pollutants, and certain other sources, to obtain and operate in compliance with a Title V Operating Permit. Generally, the first step in determining if a facility is a Major Source is to determine the Potential-to-Emit (PTE) from all operations. The PTE demonstrates the maximum air pollutants, including Hazardous Air Pollutants (HAPs), a facility may emit. The facility PTE should then be compared to the following Major Source thresholds. Emits over 25 tons per year of any combination of HAPs. If the PTE meets at least one of the criteria above, then the facility would be considered a Major Source and generally required to obtain a Title V Operating Permit. Lower thresholds do exist, such as in non-attainment area for the non-attainment pollutants, however an air emission inventory calculating the PTE will provide a good basis for navigating the regulatory thresholds. HOW TO OBTAIN A TITLE V AIR PERMIT? While the CAA is a federal program, Title V permitting is typically administered by the state agency. For example, the Illinois Environmental Protection Agency (IEPA) operated the Clean Air Act Permit Program (CAAPP). Expect to provide detailed information regarding emission units, pollution control equipment, and the emissions themselves. For some facilities, pursing a Federally Enforceable State Operating Permit (FESOP) may be a more viable option. A FESOP is also administered by the state agency, and allows a facility to opt out of the Title V regulations by placing restrictions on operations. A Title V permit application is not something that can be completed quickly. The application components are comprehensive with unique requirements that are industry specific. At a minimum be prepared to provide detailed information on the individual emission units, any air pollution control equipment, and compliance schedules. 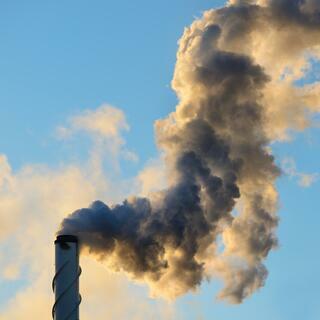 This is where having a detailed emission inventory already on hand will help greatly in filling out the forms regarding criteria pollutant and HAP emissions. Do not expect to hear back immediately once an application is submitted. Average wait times can be anywhere from one to three months and often depends on the current staffing and capabilities of the regulatory agency. An approval without some back and forth is very rare, so it is common to spend time corresponding with the permitting agency to work out details are missing or where more information is necessary for a permit to be drafted. If a rejection letter is issued, the most important thing to do is communicate. Contact the department, and discuss what were the primary reasons for rejection and determine a plan to either amend the application or submit a new application. A rejection is not the end of the road. With your new approved permit comes permit limits and monitoring requirements. The permit limits and monitoring requirements are typically industry and site specific. Some examples of the types of monitoring requirements can be found through the EPA website which provides Title V Technical Monitoring Examples. The compliance certification, testing, monitoring, record keeping and reporting requirements are all spelled out in the final permit. Reading the terms and conditions is an important step with any permit. Another aspect of monitoring that Title V permit holders may be subject to is Compliance Assurance Monitoring (CAM). 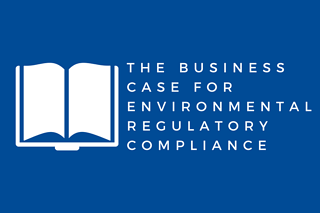 The EPA uses the CAM program to provide a reasonable assurance of compliance with applicable requirements under the CAA for those who use control equipment to achieve the specified permit limits. It is important to remember that while the permit is issued to a facility, it specifically covers individual emission units. Changes to emission units and/or any manufacturing processes may trigger the need to modify an existing Title V permit. This is especially in the case of adding a new emission source. Title V permits evolve as the industries evolve – to keep up with the current regulations be sure to check in regularly with EPA Title V Operating Permit home page.